The Goddard Reynards have featured regularly on these pages in the past, and perhaps they will again – or at least one of them will? “If anyone is prepared to pay the running costs to run them in ALMS, in return for a drive for my son Earl, I would be quite happy to loan them free of charge,” says Fred. 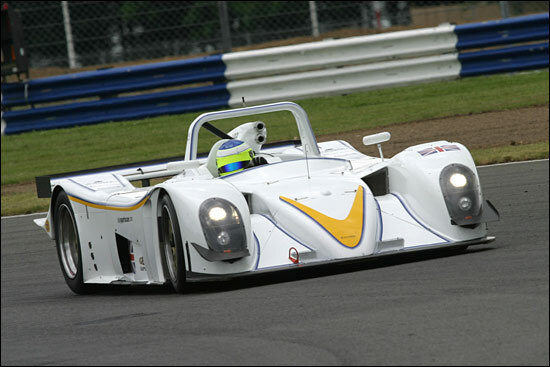 The two cars are Reynard 01Q-002 (chassis 002 - the LMP675 Nicholson McLaren-powered chassis), and 01Q-003, the LMP900 fitted with a Judd V10. This is the last year that non-hybrids can be run in the ALMS – so here’s an opportunity to go racing, with none of the commitment to own a car. The spares package is a large one, as Fred Goddard explains. The gearboxes can anyway be changed on these cars in 12 minutes. “It’s such a shame to see the cars sitting here, when they’ve got one year left in them in the ALMS,” concludes Fred. Incidentally, the Reynard chassis numbers which we posted here caused a slight difference of opinion between Godddard and Kieron Salter – but one which is easily explained. 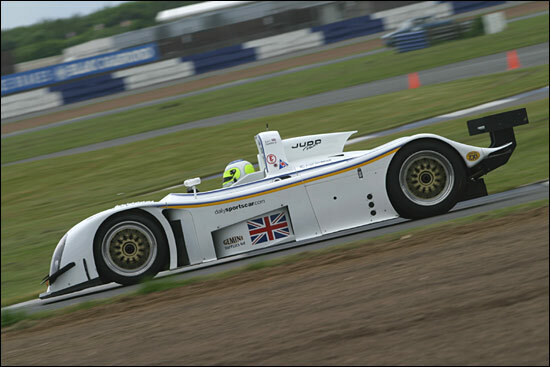 Here’s Earl Goddard, testing the Judd-powered car at Silverstone.